Well this little elf came to our house, after dd christened her zippy she has been a good elf to have around, that is until tonight!!! 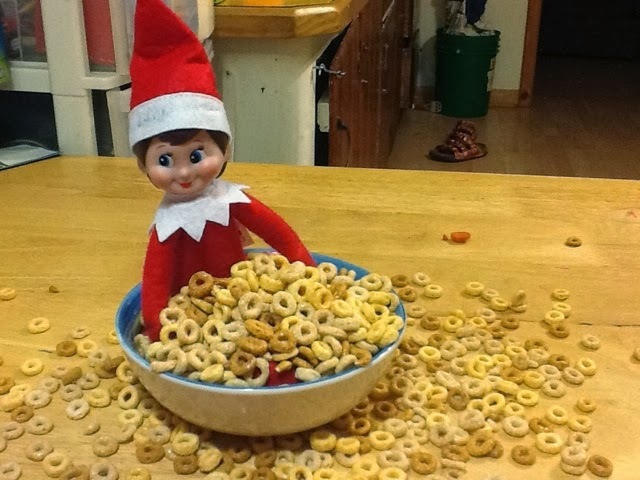 That dang elf got into dd Cheerios and bathed in the cereal! I mean really!!! Any ideas what Zippy will do next? Happy scrapping folks! Hope this inspires some Christmas mojo!